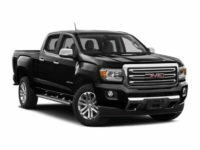 Getting the best GMC lease deals in NYC is a great way to make sure you can drive a new truck, without breaking the bank. Here at NYC Car Lease we have helped many people get in the new vehicle they love, without all the hassle normally associated with leasing a car. 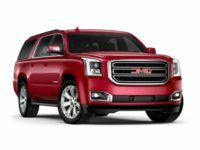 If you are interested in getting the best new GMC lease deals in NYC, please don’t hesitate to contact us and talk with one of our auto leasing experts today. Our team is always looking forward to helping people get into a new vehicle they will love. We’ll be happy to go over all your options, help you get the financing you need, and then find you the perfect vehicle with the perfect lease terms for you. We aren’t like other car lease companies, we are better! Our goal is to help every person who comes to us find the best vehicle for their specific situation, and then get them the best deal possible. What’s best of all is that we do this without requiring our customers to drive all the way to a dealership, then to another dealership, and at every stop being harassed by pushy sales people. Read on to learn about what makes us different. One of the best things about leasing with us is that we can get you any make or model vehicle you need. Rather than having to go to a different dealership for each type of car, we can get them all for you no matter what you are looking for. This is possible because we work with all the dealerships throughout New York so that we have access to all their vehicles when our customers need them. You work with us, and then we negotiate great lease terms for you. 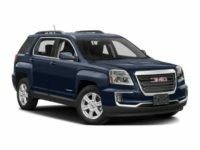 In the end, you are able to save a lot of money, and avoid a lot of hassle by having us help you find the perfect lease terms for your new GMC. 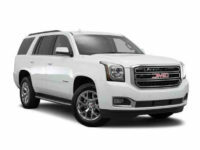 If you want to lease a GMC truck, we can get you any model on the market, including these: Acadia SUV, Canyon Crew Cab, Canyon Extended Cab, Savana Cargo Diesel, Savana Cargo, Savana Diesel, Savana, Sierra 1500 Crew Cab, Sierra 1500 Double Cab, Sierra 1500 Regular Cab, Sierra 2500HD Crew Cab, Sierra 2500HD Double Cab, Sierra 3500HD Crew Cab, Sierra 3500HD Double Cab, Sierra 3500HD Regular Cab, Terrain SUV, Yukon XL SUV, and the Yukon SUV. 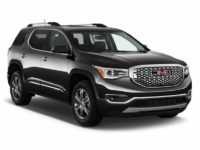 If you would like to learn more about our GMC leasing specials, please don’t hesitate to contact us to speak with a leasing professional. We would be more than happy to answer your questions and make sure everything is ready for you. We’ll then help you to find the right vehicle, and get the lease set up based on your specific requirements. To get in touch with someone on our team, please give us a call at 929-239-3040. 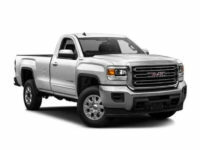 Thanks for considering NYC Car Lease, we look forward to helping you lease a new GMC truck soon.